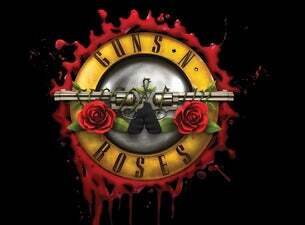 In just 8 weeks the world’s greatest rock band GUNS N’ ROSES will bring their arsenal of hits to New Zealand! Today TEG-DAINTY is pleased to announce that legendary Australian band WOLFMOTHER will join the tour as special guests for both New Zealand stadium shows. The Not in This Lifetime tour has received rave reviews around the world - the LA Times said “Welcome back to the jungle: Axl Rose finds his snake hips as GUNS N' ROSES regains its edge at Dodger Stadium”. The tour will mark the first time that founder Axl Rose and former members, Slash and Duff McKagan have played together for Australasian fans since their infamous 1993 Use Your Illusion tour. Multi-platinum selling Australian band WOLFMOTHER led by Andrew Stockdale have spent 2016 playing to packed houses throughout the US and Europe, including two US concerts supporting GUNS N’ ROSES in July. WOLFMOTHER are honoured to be returning to New Zealand after so long and these dates with GUNS N’ ROSES will be their first Australasian shows since the release of their new album ‘Victorious’. Witness the stadium tour of the century this February 2017 as GUNS N’ ROSES perform in New Zealand with special guests WOLFMOTHER.